Thusness and I like this book very much. It discusses the energetics and somatic experience of Yoga practice in relation with the insight of Thusness's seven phases. As Thusness said, "This is a very good. To interprete yoga sutra in anatta insight is my practice... ...you should not only see from anatta but must see from yoga also." "Realization is quite the same insight as the seven phases... ...This is a very good book written from very deep experiential insights." The author, Godfrey Devereux, is a yoga teacher who was awakened under the guidance of Zen Master Genpo Roshi. "click here to open a PDF excerpt from this book in a new window. Never before have the Yogasutras of Patanjali been cast into such a clear light. The short introduction provides a simple insight into the core of the text, before Godfrey original and provocative translation begins the process of demystifaction that then continues into his commentary. The sutras themselves are explained, either individually or in contextual groups, in terms that will make deep sense to anyone with a practical interest in yoga, meditation or human intelligence." "O child, whatever you see, however terrifying it is, recognize it as your own projection; recognize it as the luminosity, the natural radiance of your own mind. If you recognize in this way, you will become a buddha at that very moment, there is no doubt. What is called perfect instantaneous enlightenment will arise on the spot. Remember! May the element of air not rise up as an enemy. may I see the realm of the green buddha. may I attain the realms of the three kāyas. ‘Psychological pain’ is directly related to our ‘sense of self’. The sense of self is directly related our deeply rooted ‘inherent and dualistic thought’. This pain is an indication that we have not fully recognized the cause and many faces of the arising ‘sense of Self/self’ and that includes the attempt to remain as an unaffected passive observer. If we prescribe the wrong medicine, then there is no cure. Therefore your experience that “remaining as a detach observer doesn’t seem to eliminate the pain and anxiety yet breathing exercises and some physical exercises do” is a precious realization. There are 2 parts to it. First we must realize why we equate ‘detachment’ to this ‘unaffected and passive observer’. It is due to an incomplete insight of our pristine yet non-dual and empty nature of awareness. It is partly due to our direct and non-conceptual experience of our “Unborn, pristine and luminous nature “of awareness and partly due to the karmic tendency of solidify experience. When this direct experience is understood from the lens of a ”dualistic and inherent” framework, it is natural that we view “a passive observer” as the way to solve this psychological pain. Second, in addition to the ‘unborn, pristine and luminous’ aspect of awareness, we must have a more thorough and deeper insight into our ‘intimate, inseparable, non-dual and dependent originated’ aspect of Awareness. This relates to why “breathing exercises and some physical exercises is able to relieve psychological pain". We must directly and deeply experience what is meant by “inseparable” from the transient and understand “beingness” is never apart from whatever arises. Lastly what that is ‘unborn, pristine and luminous’ cannot be “dependent and inseparable from the transient” appears sound only logically but not experientially. It will first seem illogical and unnatural to accept such an idea, but when the tendency to dualify and solidify experience subsides, then scenery, taste, scent, sound, breathe, the sensation of our feet touching the ground…all arising will help lighten this psychological pain. Therefore fearlessly, unreservedly and completely open to whatever arises. Thusness and I like the articles in this site very much. Both dharma teachers (Yogi Prabodha Jnana and Yogini Abhaya Devi) are yogis that went for 9 years retreat and trained in the Nyingma lineage. Their main practice is Dzogchen. They went for 9 years retreat and was encouraged by their gurus to teach. Their gurus are Kyabje Penor Rinpoche, Kyabje Karma Kuchen Rinpoche and the three Khenchens of Namdroling Monastery. Bodhidharma taught through silence and words, and through resting and movement. Sometimes he just sat silent and dissolved the conceptual proliferations of seekers in that silence. Sometimes, he used abrupt and loud words and expressions to totally shift the mindset of disciples and to bring to dust their frames of reference. In resting like a mountain, gazing at the empty wall of mind’s nature, he showed how the mind of dualities and conceptual proliferations comes to rest in the basic space of the perception and the perceived1. In moving like a wild goose spreading its wings, he showed how the perception and the perceived never harm the silence of the basic space. In the view of awakening, as expressed by the Buddha in the Prajna-paramita-sutras, Lankavatara-sutra, and so on, the perception and the perceived are seen to be unborn, without a beginning. The perception and the perceived have never ever arisen as independent realities separate from the basic space of all phenomenal arising2. Realizing this principle cannot be the result of seeking. It is rather like seeing the entire landscape from the top of a high summit by resting and not seeking. 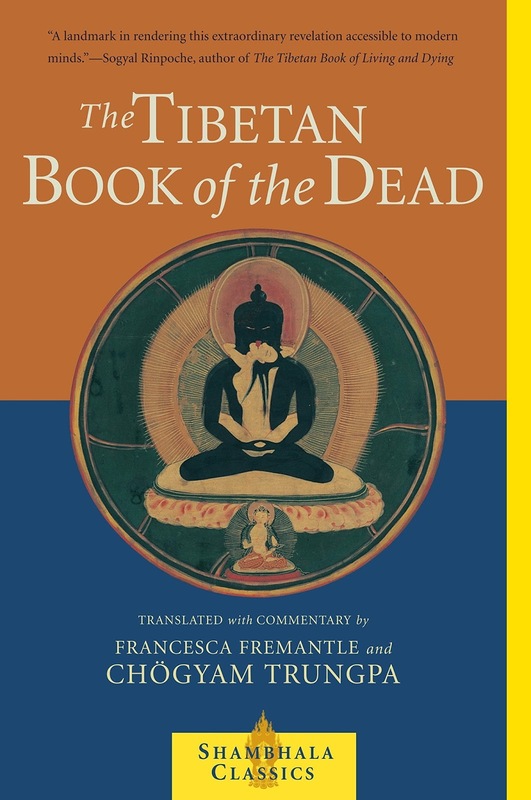 All teachings of the Buddha, and particularly Mahayana Sutras, skillfully take disciples to this summit. Bodhidharma’s teachings are in essence no different from this. The second system, the Instantaneous Sutrayana, is what Nubchen identifies primarily as the teachings of the Great Abbot Bodhidharmottara (or Bodhidharma), particularly ‘Entering the Way through Insight’ (Nubchen also deals with many other masters of Chan / Zen as belonging to this category). According to Nubchen, this method teaches the unborn nature of the space of all phenomena from the very beginning. The practice here is that of wall-gazing as the union of shamatha and vipashyana by training to rest in the unborn ultimate nature. According to Nubchen, this unborn nature is the parinishpanna svabhāva (Perfect Nature) of the unborn space as in Yogacara. Here one cultivates non-conceptuality with respect to the emptiness of all phenomena. In other words, one cultivates non-conceptuality with respect to non-appearances4, without clinging to a conceptual notion of emptiness. It is not only about recognizing the reflections as reflections, but also recognizing that there is no mirror (no mind)! Knowing that everything is a projection of mind, is just part of the hundreds and thousands of explanations that lead the disciple. Further, when you directly see and understand (recognize) the nature of yourself, the nature of your own mind, only then you see and truly understand the meaning of even the statement, “everything is projection of mind”. 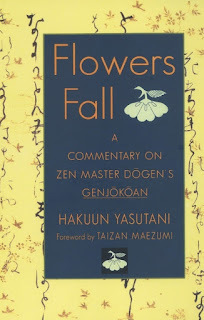 Here Dogen Zenji shows the way in which one further actualizes Buddhahood. Body and mind are fundamentally one. Regarding them as two is a thought, a delusion. When you are happy, is it your mind that is happy or is it your body that is happy? When you are hungry, is it your body or your mind? If you say “My stomach has become empty, it must be my body,” don’t we also say, “I realize how hungry I was?” Then, it must be the mind. Don’t be asinine. It’s both. Both are one. When mind and body are working separately, neither of them is any good. They are utterly incomplete. The whole idea is extremely frivolous. Be serious. Mind and body are always one. Here Dogen Zenji has shown the manner of earnestly practicing the Buddha way. In other words it’s completely mustering the whole body and mind. Seeing and hearing, standing and sitting, it’s completely mustering the whole body and mind. That’s “just,” wholeheartedly. It’s just walking, just working, just sitting. It’s just being in samadhi throughout the twenty-four hours of the day. This is the way of practice of our predecessors, the buddhas and ancestors. In modern terms one can call this living fully. When Master Hsiang-yen was sweeping the garden, he was just working with his whole body and mind completely mustered. Therefore at the single sound of a pebble striking bamboo, he attained great enlightenment. When the priest Ling-yun was on pilgrimage, with his whole body and mind mustered he was just making a pilgrimage and climbing up a mountain road. Therefore, when he glanced at a peach blossom he attained great enlightenment. To intimately perceive is to realize the Way. Now, between completely mustering the whole body and mind to see forms and to hear sounds, and intimately perceiving (attaining great enlightenment), there is a subtle turning point. These two are not the same. And yet, of course, they are not unrelated. Therein is the subtle experience called “the single sound of enlightenment,” which is spontaneously expressed. Shakyamuni Buddha upon his enlightenment exclaimed, “How wonderful, how wonderful!” Hsiang-yen said, “One striking of the pebble on the bamboo and I have forgotten everything I knew.” Ling-yun said, “Having directly arrived at this moment, I have no further doubts.” Su Tuong-p’o sang out, “The sound of the mountain is this broad, long tongue of the Buddha.” Thus, seeing one’s true nature and realizing the Way is the basis of the Buddha way. You people of the Soto sect should once again clearly recognize, believe, and eagerly practice it. If within the sect there is no one with the actual experience of realizing the Way, and the Shobogenzo is dropped down to the level of thought and becomes a philosophy, I’m afraid Dogen Zenji’s Buddhadharma will vanish from the sect like clouds and mist. Next he points out in detail how to realize the Way, to intimately perceive. “it is not like the reflection in a mirror, nor like the moon in the water.” Here, by means of a metaphor, he clearly points out that realizing the way is completely different from the realm of intellect and understanding. The simile of the reflecting of an image in a mirror and the reflecting of the moon in the water mean that the mirror and the reflection, the water and the moon, are two separate things that have become one, but the actual experience of enlightenment is a completely different matter. 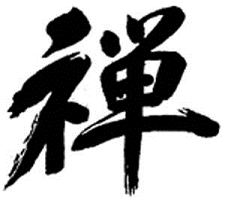 Therefore, even if one can conceptually understand the principle of Zen or intellectually comprehend the meaning of manifest absolute reality (genjokoan), that is not enlightenment. Enlightenment means waking up to the world of oneness. Unenlightened people look at everything dualistically: self and other, subject and object, delusions and enlightenment, this world and the Pure Land, unenlightened persons and buddhas, form and emptiness. Even if one tries to get rid of that duality by mouthing the theory that “form is emptiness,” the seam of “is” remains. It’s not the seamless stupa. The actual experience of enlightenment comes springing forth in the realm of true oneness. And with that, one sometimes cries out in astonishment. One becomes aware that the whole universe is just the single seamless stupa. It's not some simplistic kind of thing like a reflection in a mirror. "Mountains and rivers are not seen in a mirror." It's not that mountains, rivers, and the earth are reflected in one's mind-mirror. That's okay when we are using metaphors for thoughts and consciousness. But what we are speaking of now is the realm of the actual experience of enlightenment. The self is the mountains, rivers, and earth; the self is the sun and moon and the stars. "Not another person in the whole universe." One side is all there is, without a second or third to be found anywhere. If one calls this subject, everything is subject and that's all. There is no object anywhere. It's the true mind-only. It's snatching away the objective world but not the person. If one calls this object, everything is object and that's all. There is no subject anywhere. It's snatching away the person but not the objective world. It's the true matter-only. Whichever one you say, only the label changes and it is the same thing. While Dogen Zenji calls this completely self, he also calls it completely other. It's all self. It's all other. This is the meaning of "when one side is realized the other side is dark." This is also called "one side exhausts everything." It's the whole thing, being complete with one, exhausting everything with one.